With the soccer season heating up, its only right that the gaming market is flooded again with multiple soccer titles that all promise to be better than the other. This is Football 2003 is the latest soccer game from Sony Entertainment that challenges Fifa World Cup and Pro Evolution in the soccer stakes. 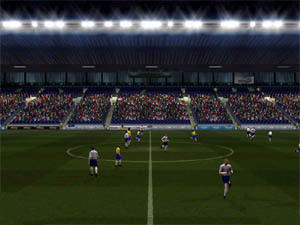 This is Football 2003 has a variety of different gameplay modes that include Exhibition Matches, Challenge Mode, Career Mode and Seasons Mode. For seasoned veterans, Career Mode lets you start from the basics, such as a training your own team that will eventually become the World Cup favourites. Exhibition Mode lets you play a single match of your choice, competition and stadium, whereas Seasons Mode lets you select a variety of international seasons such as club competitions and even the World Cup itself. This is Football 2003 is also one of those rare games that supports up to eight players at once via the PlayStation 2 multitap. The controls of This is Football 2003 is extremely easy to learn and you control your players via the analog stick with standard buttons for pass, tackle, swap and kick. The game also supports a variety of new manoeuvres that are activated via the shoulder pads on the Dual Shock. Apart from the awesome different styles of play, the game supports hundreds of teams and players from around the world such as Australia, Brazil, Japan and even North America. Graphically, This is Football 2003 has a bevy of graphical treats that will make soccer enthusiasts giddy with excitement. The first thing you will notice about This is Football 2003 is the amazing size and complexity of the stadiums that really show the perspective between the players and the stadium, that is, just how small and insignificant the players are compared to these behemoth stadiums. The crowd animations in the stadiums are well animated and every now and then you will see some smoke flares rising from the stands to help give you that true World Cup soccer atmosphere. The only downside of the stadium graphics are the pitch textures that appear quite colourless with extremely flat textures. 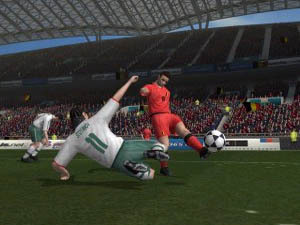 The players in This if Football 2003 are extremely well rendered and have a high polygon count with awesome texture details such as uniforms, faces, skin and hair colour. Whenever you are zooming in close to the action, you will soon notice how fluid and smooth the players are when it comes to the way they handle the ball and is extremely realistic. 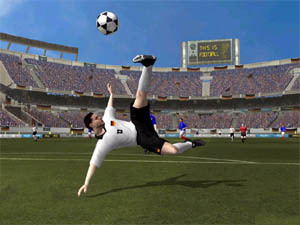 The reason for the improved player graphics is that the developers, Team Soho have redone the engine of This is Football 2002 with re-modelled player skeletons and enhanced animation routines. Some of the players even contain the real faces of world championship soccer players from around the world that have been mapped onto the player models. Although the game maintains a constant framerate, every now and then the game will pause as it loads another aspect of the game into the PlayStation 2's memory. When it comes to sound effects, the developers have done an extremely good job in recreating all the sounds you would hear at a soccer game. From the roars of the crowd to the thuds of kicking the ball, everything fits together nicely. You even hear the players on the field such as when they are questioning an umpires decision or shouting at each when they miss a goal. The commentary of the game is perfect as every single player in the game has had their names recorded so you will get some quite fluid commentary, without the need for pauses or breaks. 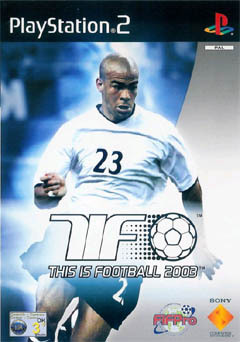 This is Football 2003 is probably one of the best soccer games around at the moment because the variety of different gameplay modes, new soccer manoeuvres and playability of the game. With detailed graphics and easy to learn gameplay, I would highly recommend this game to sport fanatics world wide.